With over 25 years of private mortgage “Hard Money” loan origination experience, I believe I am well qualified to answer this question. The terms Private Money and Hard Money are synonymous and there is no difference between the two. The term Private Money has become more widely used over the last 20 years. I think private lenders and industry professionals were trying to create a new term that sounded friendlier and less threatening to borrowers than “Hard Money”. Call these loans what you wish, Private Money Mortgages, Hard Money Loans or Private Hard Money Loans, they mean the same thing. The term Hard Money has been terms used for many decades and originated in the 1950’s. Private “Hard Money” Loans are mortgages that are funded by private individuals investors. 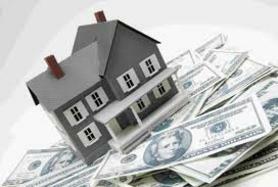 Private Money Loans are mortgages that are based primarily on the asset or property and not on the borrower’s credit. Hard Money Loans have higher interest rates and the loan origination fees than traditional mortgages. Traditional mortgage lenders look at the property and the borrower. Why Do Borrowers Borrower Hard Money Loans? Borrowers chose private money loans over traditional mortgages for several reasons. Sometimes a borrower cannot qualify for a traditional mortgage because of his credit or he may not be able to show sufficient income, such as showing a large enough adjusted gross income on her tax returns. Time is also a big factor in deciding between a private money and a bank loan. Private lenders can fund and close loans in days, where traditional lenders take weeks. The condition of the property is also another factor why private money is the only financing option. Fix and Flip properties “fixers” typically do not meet the standards of traditional lenders. Where Does One Find A Private Money Lender? If you are a borrower who is looking for a private hard money lender, you can use the internet a do a Google search for Private Hard Money Lenders. I would include the county or geographic are that you where your property is located to find the best private lender for your unique needs. I have been arranging private hard money loans for over 25 years and my company GW Private Capital, Inc, located in Whittier, California can assist you with most private money loan products. Contact us at (562) 789-1000.